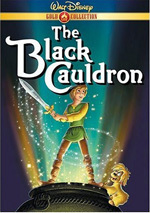 After the disastrous Black Cauldron in 1985, Disney’s animation division wobbled on the ropes. That flick was a costly experiment that failed in most ways, and it nearly killed the studio’s bread and butter. Disney animation wouldn’t fully rise to its feet until 1989’s The Little Mermaid, but they started to snap back in 1986 with The Great Mouse Detective. A modest film in every sense of the word, the flick enjoyed a much smaller budget than did Cauldron, but it also suffered from much lower expectations. A small-scale and genial little piece, Detective felt almost like a throwaway movie, but that was just what the studio needed. Detective didn’t become a blockbuster, but it provided a decent success with both audiences and critics at a crucial time and definitely contributed to the studio’s resurgence that would soon arrive. However, I must admit this is both a blessing and curse. On the negative side, Detective moves rather slowly at times. It picks up nicely during its third act, but the prior two could plod. The animation also seems weaker than usual for Disney. Lip-synch looks off at times, and transitions often flow poorly. In addition, colors change awkwardly during Ratigan’s production number; I have no doubt that the stylistic changes would have been less clumsy in other Disney flicks. Footnote: the film has appeared under a number of different titles. Originally called The Great Mouse Detective in the US, Disney redubbed it The Adventures of the Great Mouse Detective for a Nineties reissue; I guess they figured the word “adventures” would pull in the kiddies. For audiences in some places outside of America, it went by Basil: The Great Mouse Detective, a title closer to the original novel’s Basil of Baker Street. 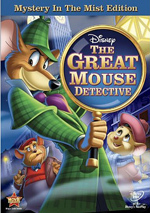 The Great Mouse Detective appears in an aspect ratio of approximately 1.78:1 on this single-sided, dual-layered DVD; the image has been enhanced for 16X9 televisions. Many of Disney’s animated flicks from the Eighties don’t look so hot, but Detective provided an exception with its solid picture. Sharpness seemed good. Occasional instances of softness crept into wider shots, but the movie remained pretty well-defined over all. Jagged edges and moiré effects created no concerns, and I also noticed no signs of edge enhancement. In regard to print flaws, grain seemed noticeable at times. It never became heavy, but it appeared somewhat excessive on occasion. Otherwise, the movie looked very clean. I noticed the occasional speckle, but most of the time, the image remained free from defects. Though virtually all of Detective took place at night, the film still boasted a reasonably varied palette, and the DVD replicated those tones well. The colors seemed nicely bright and vivid throughout the movie. The appeared tight and concise as well, and they showed no concerns related to bleeding, noise, or other issues. Black levels seemed deep and rich, while shadow detail was appropriately heavy but not overly thick. Overall, The Great Mouse Detective provided a satisfying visual presentation. While not quite as good, the Dolby Digital 5.1 soundtrack of The Great Mouse Detective seemed pleasing. Given the age of the material, I didn’t feel surprised to discover that it emphasized the forward channels. Within that domain, music showed nice stereo imaging and presence. Effects spread reasonably well across the front spectrum, and the elements moved acceptably naturally, but the score and songs remained the most prominent parts of the track. The rear speakers played a small role, as they mainly contributed general reinforcement of music and effects. Audio quality was consistently positive. Speech usually sounded distinct and warm, without edginess or other issues. Effects lacked distortion and occasionally showed nice life; for example, the stomp of Felicia the cat presented the appropriate low-end impact. Sometimes the effects sounded a bit flat, but they worked well for the most part. The score and songs offered good range and dimensionality as well. This wasn’t a dazzling track, but it provided clear, vivid audio. How did the picture and sound of this Blu-ray compare to the film’s original DVD release? Unfortunately, I was unable to directly compare the two releases. However, based on my review of the earlier disc, I’d bet that the two transfers look a lot alike. I felt happy with the prior image, and the new one was similarly pleasing. Both soundtracks remained fairly low-key, but I thought the 2010 audio was more satisfying. It seemed a little more robust and clean. It wasn’t a big upgrade, but it appeared a smidgen clearer. The 2010 “Mystery in the Mist Edition” includes some of the original disc’s extras plus one new component. So You Think You Can Sleuth? offers a four-minute, 42-second history of detectives. Though the disc touts this as a game, it’s really nothing more than a featurette. Yeah, the piece includes one case for viewers to solve, but that’s it. It’s weird that this is listed as a game, but the show itself is moderately interesting anyway. The Making of The Great Mouse Detective provides a short and perfunctory featurette. It runs a mere seven minutes, 52 seconds and mixes shots from the movie, some behind the scenes clips, and interview snippets. In the latter domain, we hear from studio executive Roy E. Disney, supervising animator Glen Keane, actors Barrie Ingham, Val Bettin, and Vincent Price, singer Melissa Manchester, composer Henry Mancini, and animator Phil Nibbelink. The program seems quite superficial and provides very little information about the production. We get a couple of decent tidbits but nothing particularly noteworthy. Like many Disney DVDs, we find a Sing-Along Song here. 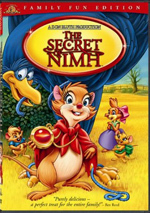 This one accompanies Ratigan’s “The World’s Greatest Criminal Mind”. I never could figure out what someone so inclined couldn’t just turn on the movie’s subtitles to do this, but if you dig sing-along songs, have a party! At the disc’s start, we find ads for Beauty and the Beast, Toy Story 3 and Disney Movie Rewards. These also appear under Sneak Peeks along with promos for Tinker Bell and the Lost Treasure, The Princess and the Frog, The Black Cauldron, Toy Story, Toy Story 2, Tinker Bell and the Great Fairy Rescue, “The World of Ghibli” and D23. No trailer for Detective appears here. Unfortunately, the 2010 DVD drops some nice extras from the original disc. It loses two classic Disney shorts as well as a good still gallery of art and ads related to Detective. Their absence disappoints. No one will ever confuse The Great Mouse Detective for classic Disney, but it succeeds better than most of their material from the Seventies and Eighties. The movie’s modest scope allows it to rely more strongly on character, and it seems unusually - and pleasantly - quiet and thoughtful. The DVD provides solid picture quality along with pleasing audio and a pretty lame set of supplements. 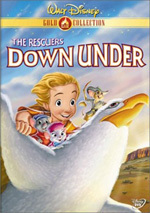 The movie looks and sounds good, but neither manages to greatly surpass the presentation found on the original DVD, and the 2010 set’s extras disappoint. Even though I think the new disc offers a minor auditory upgrade, I can’t recommend a double dip for fans who own the prior release, as the new one just isn’t an overall improvement due to its lesser set of bonus features.